Isn't this a nice word? Misticanza, makes you think of "mystical," "mystique," maybe even "mystery." 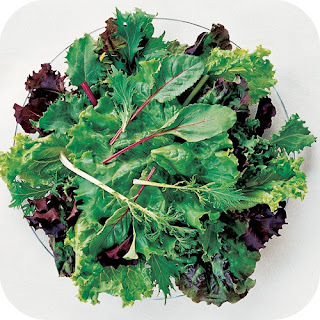 All it means in modern Italian usage is the equivalent of mesclun, although the kinds of greens (which vary) will differ in Italy from what you find in, say, France or the US. 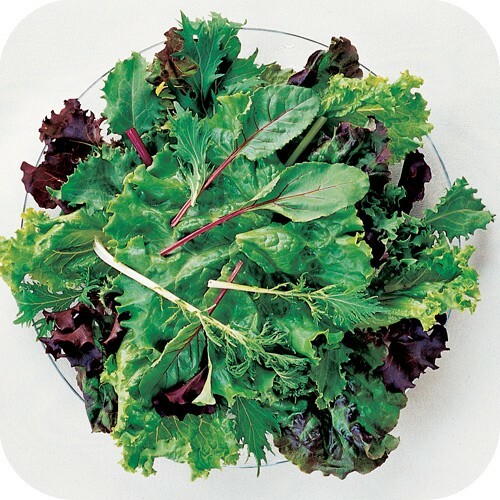 The original misticanza is associated with central Italy, specifically the Rome area, and included local wild greens. Take the mystery out of misticanza by reading this informative post from Anna Maria Volpi, who was raised in the area. She suggests a dressing for the misticanza, but personally I prefer extra-virgin olive oil, fresh lemon, freshly-ground pepper and salt, for this and mesclun.